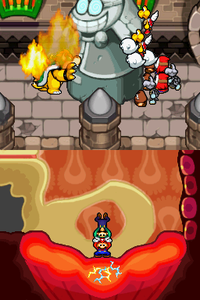 The Leg Outpost is an area in Bowser's body during the events of Mario & Luigi: Bowser's Inside Story. 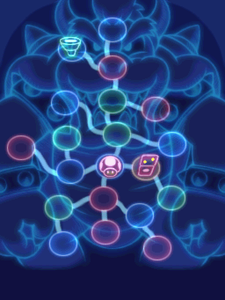 It is located in Bowser's left leg in the map, but in the background of the area, Bowser's hips and spine are visible, revealing it is actually set at the base of both his legs. The players visit here twice to play a minigame where Mario and Luigi jump on Bowser's leg muscles. The first time the area is needed is when Bowser tries to push a drilling machine to dig a tunnel to Toad Town before the battery runs out. The second time is when Bowser tries to push a statue of Fawful into a pit, while several Goombas, Shy Guys, Boos, Dry Bones, and Koopa Troopas under Fawful's control are pushing the statue the opposite direction. 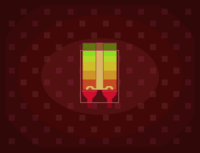 If the player doesn't win the first minigame the first time, then they will have to pay 50 coins to buy a battery for the machine. If the player loses the second minigame, it means that Bowser gets pushed backwards off the balcony and has to make his way back up and try again. This page was last edited on December 26, 2018, at 23:43.